Employees of the apartment where Charleena Lyles lived learned she had allegedly threatened to kill a 10-year-old boy with a knife sometime in May, according to investigative records. 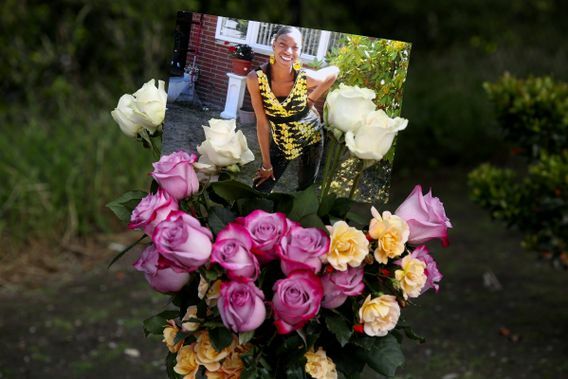 Lyles was fatally shot by two Seattle officers June 18 in her apartment. Weeks before Seattle police fatally shot Charleena Lyles, employees of the low-income apartment complex where Lyles lived learned she had allegedly threatened to kill a 10-year-old boy with a knife, according to a source familiar with the matter and investigative records made public Tuesday. But the employees from Solid Ground didn’t report the incident to Seattle police, according to records obtained from the King County Prosecuting Attorney’s Office under a public-disclosure request filed by The Seattle Times. The records released Tuesday do not specify the date of the incident with the boy, but the source familiar with the matter said it occurred sometime during the Memorial Day weekend. The incident was reported to Solid Ground the next day, May 30, the source said. 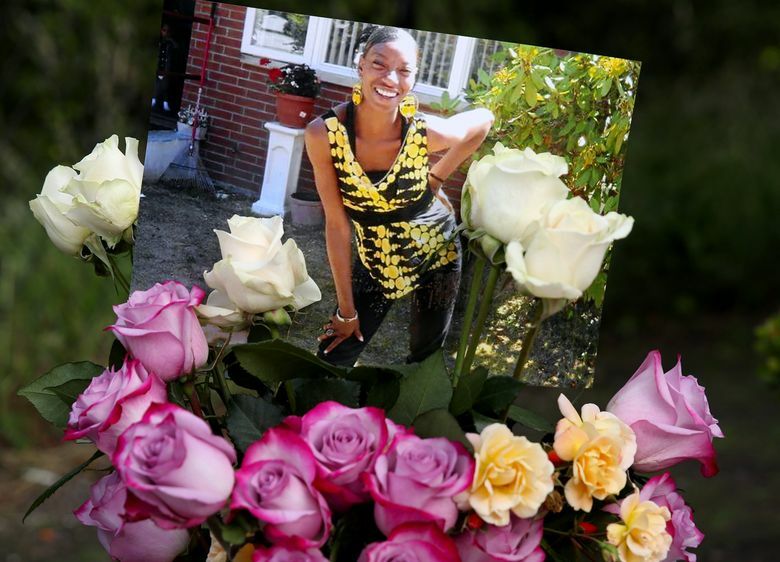 Lyles, a 30-year-old African-American mother of four, was fatally shot by two white Seattle officers June 18 in her apartment after she reported a burglary and, according to the officers, suddenly attacked them with one or two knives. The shooting, which has generated controversy and protests, occurred in the federally subsidized Northeast Seattle housing complex owned by Solid Ground, a Seattle-based nonprofit that describes itself as working to end poverty and undo racism and other oppressions that are root causes of poverty. A Solid Ground spokesman said Tuesday that its employees handled the alleged incident involving the 10-year-old boy properly but that he could not discuss specifics of the incident. Seattle police received a tip on the incident with the boy June 23 that was relayed to Detective Jason Dewey three days later, according to a Force Investigation Report submitted Oct. 11 to the prosecutor’s office for its review and in preparation for a court inquest in Lyle’s death. No date for the proceeding has been set. The tipster identified himself as Bill Drummond, an employee of Solid Ground, according to the report. “He reported that a Solid Ground Staff member had taken a report from a resident regarding Subject Lyles having pulled a knife on a ten-year-old boy and threatening to kill him,” Dewey wrote in the report. Drummond reported the staff member had reviewed a video of the incident, contacted the alleged victim and completed an internal report but didn’t contact Seattle police, the report says. Drummond claimed he had copies of emails and other files from staff members related to the incident, the report says. Drummond could not be reached for comment Tuesday by The Seattle Times. Drummond indicated he wished to remain anonymous out of fear of retaliation by his boss but was willing to be contacted by phone or meet in person, Dewey wrote. Hours later, Dewey called Drummond, who stated he was the housing operations manager for Solid Ground. “He stated that initially he wished to remain anonymous but decided that he is willing to be named because he is concerned that Solid Ground is covering up information that could have prevented the shooting,” Dewey wrote, referring to the police shooting of Lyles. Drummond believed some employees who were made aware of the incident involving the boy were so-called “mandatory reporters,” required by state law to report such behavior, but they hadn’t done so, according to the report. With the new information, Dewey prepared a search-warrant request for Solid Ground records and took it to King County Superior Court Judge Hollis Hill on June 27, according to the report. She ultimately declined to sign the warrant for reasons that aren’t specified in the report. Hill couldn’t be reached for comment Tuesday. The same day, Dewey and another detective met with Drummond at a Taco Time parking lot in North Seattle, where Drummond provided a packet containing email correspondence and reports on the incident involving the boy, the report says. The matter was ultimately referred to another Police Department investigative unit, which determined there wasn’t proof of a criminal violation on the part of Solid Ground employees. Mike Buchman, communications director for Solid Ground, said Tuesday that the organization’s practice when an incident occurs is to work with the community and law enforcement and take appropriate steps. That practice was followed “in this case,” Buchman said. Monika Williams, a sister of Lyles, said Tuesday night that she had never heard of the incident and that Lyles would never pull a knife on a child. “My sister wouldn’t do that. She loves kids,” Williams said. About a week after the reported incident involving the knife and the 10-year-old, police were dispatched to a domestic-violence call at Lyle’s apartment. During that incident, she brandished a pair of 12-inch scissors, telling two officers they “would not be leaving today,” according to a police report. With a daughter playing nearby, Lyles was repeatedly told to drop the scissors but kept asking one officer if he would shoot her in front of the child, according to the report. One officer wrote that he tried to de-escalate the situation, as Lyles made known she was keeping the officers in her apartment and displaying the scissors because she wanted to free her people. As other officers arrived, Lyles gradually became calmer and was arrested. On June 13, she appeared in Mental Health Court, where she was ordered to be released the next day with conditions, according to court records. On June 18, she was fatally shot by the two Seattle officers. An autopsy performed on Lyles showed she had no drugs or alcohol in her system when she died. She had a history of drug abuse, according to family and court records. Drummond, in a conversation with SPD force investigators July 7, said Solid Ground had, after the shooting, suspected drug use in the apartment and had the unit tested, according to the documents released Tuesday. The results showed the apartment where Lyles lived with four children tested “well over” safe levels for methamphetamine contamination, according to the detective’s log. Drummond told Detective Dewey it would “take months to clean” and could cost as much as $35,000. In early August, when SPD force investigators decided they needed a laser scan of the Lyles apartment — which had remained sealed to that point — they arranged to have a Colorado forensic-reconstruction firm flown in to do the work. A Washington State Patrol toxicologist told Dewey that the amount of methamphetamine found contaminating the apartment by itself would likely not have been enough to show up in Lyle’s blood.